Was last week’s snow adorable or what? That whole whipping cream segment was worth the price of admission. So! Much! Fun! The producers have done a marvellous job of capturing the youthful essence of this show. It is refreshing and full of enthusiasm, yet ambitious and challenging. A beautiful balance has been reached between all these elements. This show, in my mind, is the best produced show on television right now. No contest. Yes, even better than any entertainment reality show. 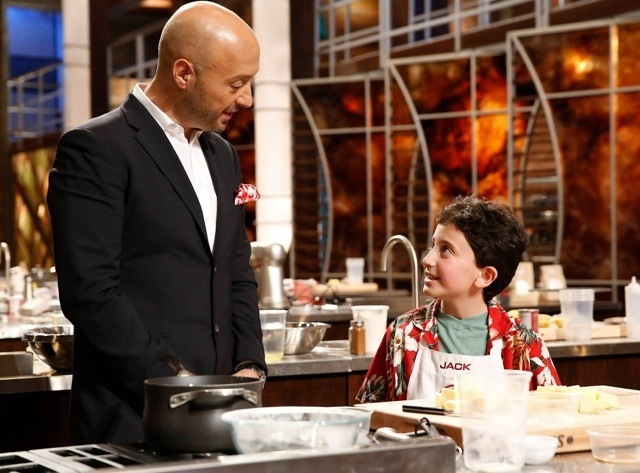 So, tonight we are down to our Top 8 and, as we watch these young cooks interact with their illustrious chefs – Joe Bastianich, Graham Elliott and Gordon Ramsay, let’s hope that this show continues to do well in the ratings. It deserves all the accolades in the world. Bravo MasterChef Junior. Good luck to all the kids – you are all terrific and, as I said last week, can come cook for me any ‘ole time.